To get CELTA at Warsaw was my best experience ever. I cannot but mention that Warsaw centre has everything that is needed for trainees: computers, internet, the multi-function device (photocopier, scanning device, colour printing unit), paper and office supplies – all staff which a candidate may need during his or her preparations for the lessons. The classes are also well equipped so that you can easily present the material to students. 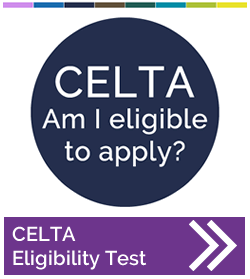 The process of CELTA obtaining itself is really very intense, but the Tutors who work at Warsaw do their best to help you. They are not only your teachers (tutors) but also friends, psychologists and advisors. All Tutors are high-skilled and they are real professionals. They share all the knowledge a trainee needs. I can assure you that Tutors at Warsaw are always eager to help you during your course. All the material (which is given during the in-put sessions and which you will further need and use) is presented clearly and with all the required explanations, always you will get the hand-out where you see the summary of the material just presented, all in-put sessions (shortly lessons) are very useful and are given with the help of the communicative approach, all lessons (in-put sessions) are student-centered. In general, I can say that Warsaw center is one of the best, and I will strongly recommend it to everyone. If I ever decide to do DELTA, Warsaw will be the only place I choose.